The future of Suffolk OTB’s video lottery casino in Islandia rests on the obscure legal question of whether gambling facilities are an “accessory use” of hotels. The casino, which opened in February at Jake’s 58 Hotel & Casino on the Long Island Expressway north service road, is the key to Suffolk County Regional Off-Track Betting Corp.’s plan to escape bankruptcy by generating enough new revenue to pay off $15 million in debt. But state Supreme Court Justice William Ford has ruled in a lawsuit filed by casino opponents that the Islandia Village Board made a mistake last year when it approved a special permit allowing the casino to open as an accessory use of the hotel. Ford, in his Sept. 8 decision, said the casino should not be considered an accessory use because gambling facilities are not “customarily incidental” to Long Island hotels. Islandia and Buffalo-based Delaware North, which owns the hotel and operates the casino for Suffolk OTB, have appealed Ford’s decision. The casino remains open pending the appeal. Municipalities often approve accessory, or secondary, uses of properties when they are deemed to be a customary part of a site’s primary function. Hotels, for example, typically are allowed to have restaurants and bars. The issue in this case is whether hotels customarily house casinos, or whether such arrangements are rare. Albany Law School Professor Ted De Barbieri noted, however, that Ford’s decision centered on the absence of hotel-casinos on Long Island. 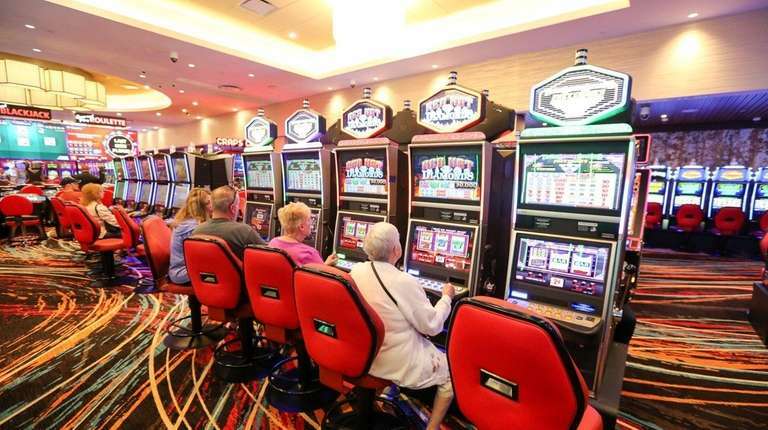 Attorneys for Islandia and Delaware North had argued that five upstate hotels have casinos — but Ford dismissed that as irrelevant, adding that gaming facilities are not “common, habitual, or well-established” at Long Island hotels. The betting parlor — Long Island’s first, and only, video-lottery casino — opened this year in what had been an existing hotel after a four-year effort by Suffolk OTB and Delaware North to find a location for it. Ostrow and De Barbieri both said they were not sure whether Ford’s decision would be overturned or upheld. “I think it could go either way,” Ostrow said. The stakes are high for Suffolk OTB, its 400 employees and the county. The casino, which features 1,000 terminals where bettors play electronic versions of games such as blackjack and baccarat, had increased revenue each of its first six full months of operation since February. Gross revenue last month dipped slightly to $217.8 million, compared to $219.14 million in August, according to state Gaming Commission figures. Suffolk OTB officials have said the casino saved 250 jobs, and has created an additional 250 jobs at Jake’s 58. In addition, Suffolk County is guaranteed at least $13 million from the casino over its first 10 years of operation. Suffolk OTB officials have said they plan to seek state permission for an additional 1,000 terminals in Islandia. The Islandia village board voted 4-0 on Aug. 12, 2016, to approve the special permit. 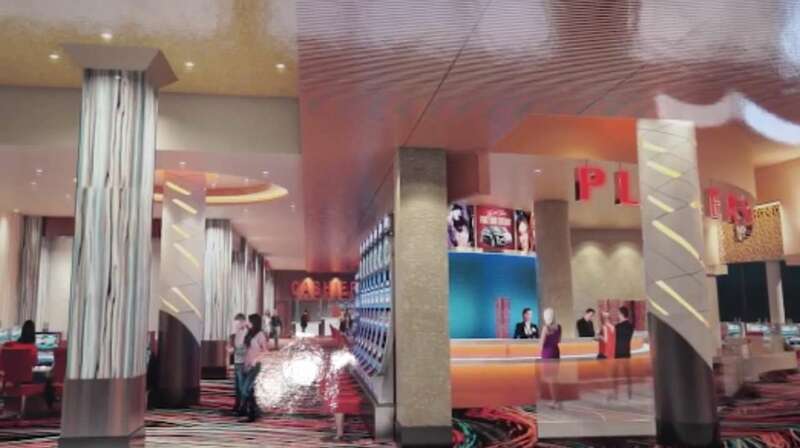 The gaming commission approved an operating license for the facility on Feb. 27, and the casino opened hours later. Casino opponents, including several Islandia residents joined by civic groups from nearby Hauppauge and Ronkonkoma, sued Islandia and Delaware North last year. In addition to questioning the special permit, their lawsuit argued that the village board had illegally voted without a written resolution and without first seeking crime and traffic data. Ford did not rule on those other issues. Suffolk police said they have responded to 103 calls to Jake’s 58 since the casino opened, but could not immediately provide separate statistics for the casino and the hotel. The calls included seven grand larcenies, eight petty larcenies, four harassment cases, and 18 “disturbance” incidents. Paul Sabatino, a Huntington Station attorney who represents casino opponents, said the facility should lose its state license if Ford’s decision is upheld because casinos must comply with local laws to operate. 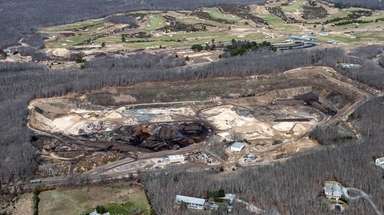 Lawyers for Islandia and Delaware North said in their appeal they believe Ford “erred as a matter of law.” Islandia Village Attorney Joseph Prokop said in an email that the village “is confident it will prevail in this matter.” He did not elaborate. Suffolk OTB and Delaware North officials have said they believe the casino will not be shut down. The village’s appeal is expected to be heard by the Second Appellate Division in Brooklyn. Arguments have not been scheduled. Ultimately, the case could end up before New York’s highest court, the Court of Appeals. A final decision in the case could be years away, said De Barbieri, adding that a lawsuit filed by opponents of a proposed shopping mall at Willets Point in Queens took four years before the Court of Appeals ruled in the plaintiffs’ favor earlier this year. Ford’s decision, if upheld by appeals courts, could bring the demise of the casino, De Barbieri said.